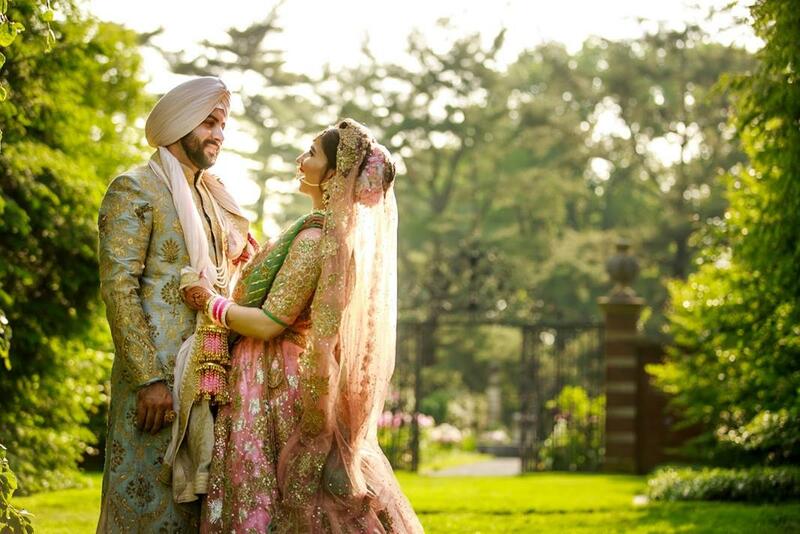 Kirandeep & Jaipartap had a beautiful Sikh Wedding in New York and we’re completely smitten by their post-wedding photos. The photos from their dreamy post-wedding shoot are totally drool-worthy and setting some major goals for all the couples out there. Dupatta shots are pure love! An increasingly popular trend through the dupatta shots are now a definite bridal photo shoot essential! 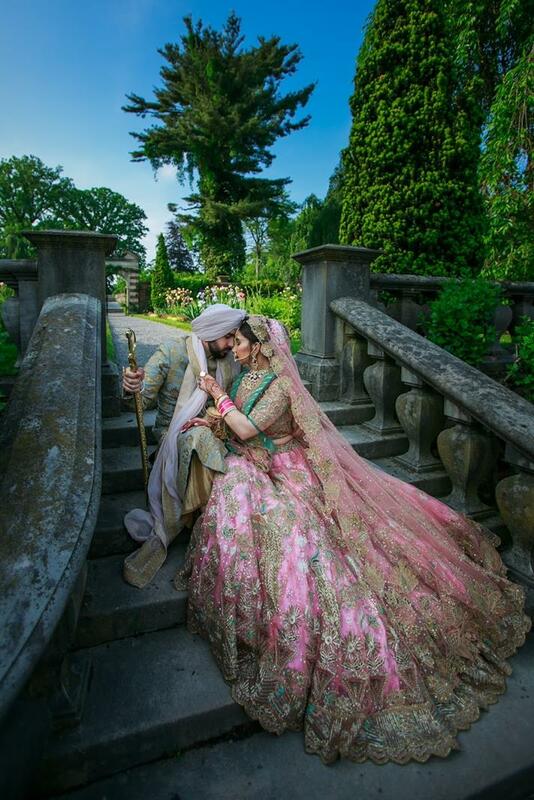 Head here for more gorgeous Ghoonghat shots for your bridal look! 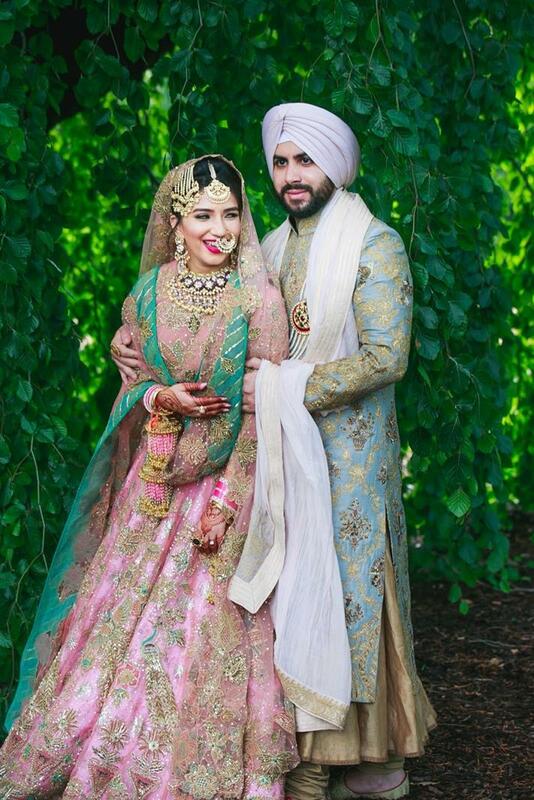 We absolutely loved Kiranpreet’s pretty blush-pink silk and tulle lehenga adorned with majestic peacock motifs paired beautifully with gold jewelry. The green accents made us go wow, thanks to her there’s a new day wedding lehenga combination we know of now! PS- Don’t miss that stunning pink Chura paired with gold & pink tasseled kalire! Move away stage photos! 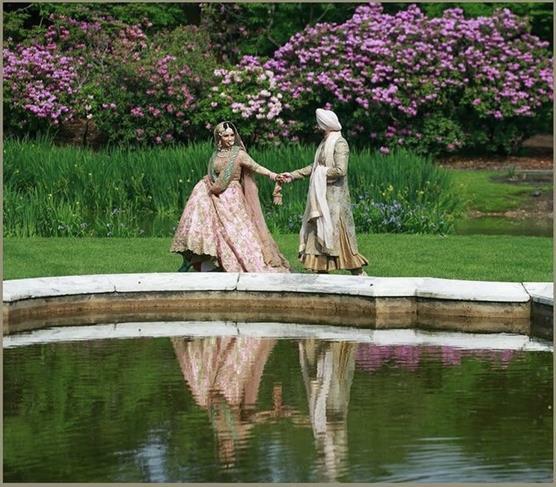 Theres something charming about getting photos in scenic background in YOUR wedding attire – what more could one desire? 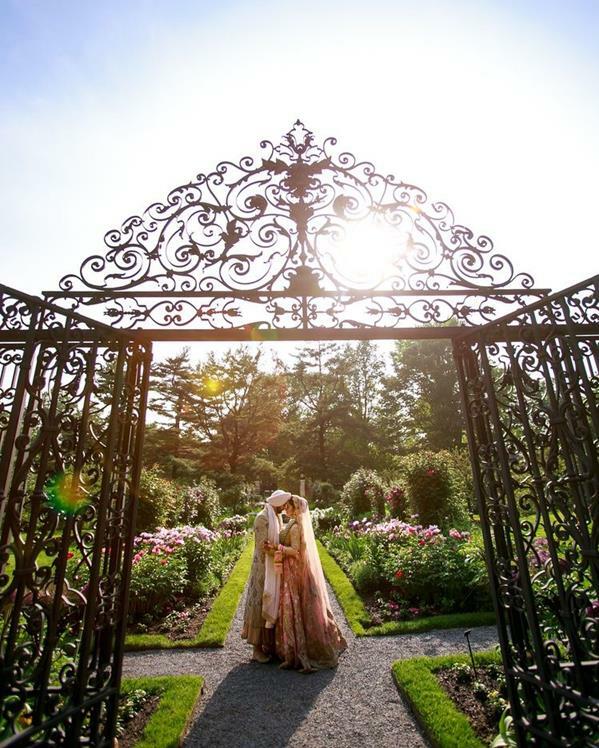 Want to have the most beautiful wedding pictures? Head here for the tips to find your dream Wedding Photographer! Jaipartap’s Sherwani and swag complemented his bride’s attire beautifully and giving us some serious Groom Style Inspiration. There’s Also a Post Wedding Video to Drool Over! Plan a proposal 101 – Shiv & Ella – Swoonworthy proposal ideas for Indian Couples.